Allmax Nutrition introduces the purest protein blend containing essential minerals and nutrients that promote muscle building properties. Concetrates have higher levels of fat and sugar with a lower protein. Isoflex users know that Isolates have a superior protein percentage. With 27 grams of protein in each scoop, zero sugar and zero fat; Isoflex is the high performance protein for the high performing athlete. 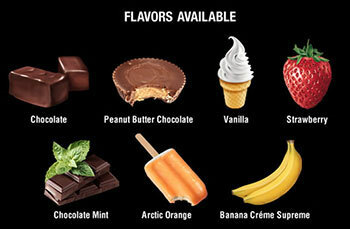 Allmax IsoFlex is more than 98% Lactose Free! Allmax IsoFlex combines four proprietary delivery systems. The ingredients in each system work synergistically to provide a high quality and great tasting protein powder that’s been designed to help you reach your goals. Allmax IsoFlex protein powder has an excellent macronutrient profile. In terms of the flavoring, what really makes Allmax IsoFlex stand out are the actual chocolate chips in the chocolate flavor that provide a nice consistency and the real pieces of strawberry in the strawberry flavour. If you mix the chocolate peanut butter flavor with ice, it tastes a lot like Reese’s Pieces and you can’t get much better than that! 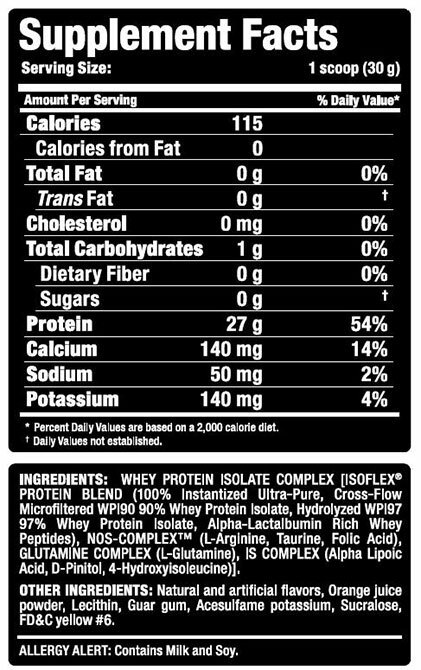 What is whey and why is it so valued as the core foundation of every serious performance nutrition program? Whey is a thin, watery portion of milk chockfull of high-grade protein that’s separated during cheese production. It is extracted through a two-step process. The type of extraction conducted to separate whey from milk is what really determines the quality of whey protein. It’s this exact process that also sets Allmax IsoFlex protein powder apart from others on the market. The filtration ceramic membranes used for the CFM process are extraordinarily fine and have the ability to remove even more lactose, ash and fat than the process of ultra-filtration, which is used for lower quality whey protein products. Using this sophisticated process, ALLMAX is able to produce Allmax IsoFlex, a superior ultra pure protein that maintains an optimal macronutrutient ratio, yielding 27 grams of protein, 1 gram of carbohydrate and 0 grams of fat. Other whey processing technologies use higher temperatures that cause irreversible unfolding of the protein fractions that can drastically reduce the biological activity of the protein. Based on solubility at a pH of 4.6, Allmax IsoFlex has a mere 3% denatured proteins, which is approximately 10% less than ion-exchange whey protein isolates and typically less than other microfiltration whey protein isolates. 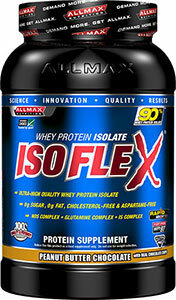 Allmax IsoFlex also contains up to 12 times more native GMP than ion-exchange whey protein isolates. To produce whey isolate the protein goes through the following steps: Fresh milk is tested by quality assurance experts. What's in Allmax Nutrition IsoFlex? Mix or shake 1 scoop of Allmax IsoFlex (30 g) with 5 oz (150 ml, 3/4 of a cup) of water or milk. We have a large selection of in-stock AllMax Nutrition products including Whey Isolate Protein items and others for the lowest prices at SameDaySupplements.com® It's always easy to shop for Isoflex Protein Isolate By Allmax Nutrition at SameDaySupplements.com® because you can browse by reviews, brand, prices or search for specific ingredients using our search tool. In-stock orders placed before 3pm EST ship out the same day to USA, Brazil, United Kingdom, Canada, Germany, Australia, Japan, India, France and worldwide at the cheapest prices online.